Pick you up from Tianjin Xingang Port at 9am by our English-speaking tour guide and driver and then drive to Beijing city. Today’s tour will start by visiting the Mutianyu Great Wall. Mutianyu is one of the most magnificent and precipitous sections of the Great Wall. You can take a cable car to up and down in a more relaxing way to experience the Mitantianyu Great Wall. After the tour, we will transfer you to your hotel. Pick up from your hotel at 5AM by our private driver, transfer to airport and take the flight to Xian.Upon your arrival, be met by our guide and driver at Xian airport. Visit the Terra-cotta Warrior and Horses which is one of the greatest archaeological discoveries ever made. These over 8,000 life-size figures of painted terracotta warriors and horses were interred in the mausoleum of the first emperor of China–and each figure is individually carved. After lunch, move on to downtown Xian to visit Xian City Wall which is the main attraction of Xian and one of the largest ancient military defensive systems in the world; and the Big Wild Goose Pagoda which is a square pyramidal, concise, and magnificent and the symbol of the ancient Xian. It was built to collect and preserve the Buddhist Scriptures brought all the way from India by Monk Xuanzang. In the evening, we will transfer to Xian airport to take the flight back to Beijing. After Breakfast, our tour guide will pick you up at 7am and then drive to Tiananmen Square and Forbidden City. Tiananmen Square covers an area of 49 hectares (122 acres) and big enough to hold half a million people. Being the site of many key events in Chinese history, Tiananmen Square has important significance to be a cultural symbol. Forbidden City was home to 24 emperors over half a millennium which from 1420 to 1923. It is protected by high walls and a moat on all four sides and consists of dozens of halls and courtyards. Continue our last scenic site of the Temple of Heaven. Temple of Heaven is the grandest cult architecture complex in the world and a masterpiece of the Chinese people created in ancient times. After lunch, we will transfer you back to Tianjin Port before 4pm. Price for per person 2 persons 4 persons 6 persons 8 persons S.R.S. ***Tour price based on 2 people sharing a room. If you would like to use a single room, please pay single room supplement (S.R.S.). ***If you are a group of 10 or 10 people above, please contact us, we could give a very competitive discount. *China internal flights: Beijing-Xian; Xian-Beijing. *Cable cars/toboggan at the Great Wall. Arriving April 3rd 2019 on Millenium and would like applicable pricing for Terracotta tour for 4 people not including hotel, and alternatively for 5 star hotel. can i get a quote for the 3 day tour including xian for 10/31-11/2/18 for both 4 and 5 star hotels for 2 people? We just sent you an email about detailed tour itinerary and price, please check. We are booked on the Millennium for the Oct 27 sailing. 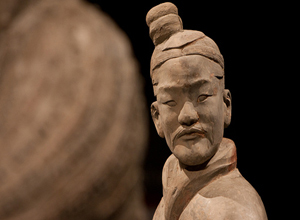 We are interested in seeing the Terra cotta warriors and other sites. Can you give me more information about your tours that explore Xian and Beijing? I know that Celebrity has their own excursions but I would like to see what your offer also. Thank you. We just resent it, please check. I did not receive it but have sent you an email through the link you sent. I also need a cost for the 3 day tour to terra cotta warriors including hotel from celebrity millennium cruise on April, 21,2015. Thank you for your message. We need to know how many people do you have and which class hotel you prefer. Then we can give you a price. Please quote prices for three day terra cotta warriors tour incl hotel from celebrity millennium cruise 9/28/14-10/12/14 for two people for 3, 4 5 star hotels. Thank you for your message. We just sent an email to you, please check it out. Any questions are welcome! Thank you for your message. We just sent an email to you, please check it out. Can you please quote me for October 7th for the 3day/2night with Xian. All three hotels levels. Thanks for your message. We just sent an email to you, please check. Our travel advisor just sent an email to you, please check. Thank you!